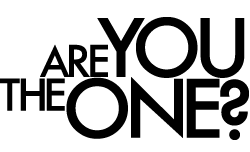 Taking Action Archives - Are You The One? Massimo Iacurti is the Regional Vice President (Kitchener Waterloo Cambridge) for RBC Royal Bank, which contributes about $100,000 each year to local United Way-funded programs and services. Gore Mutual President and CEO Heidi Sevcik and Board Chair Farouk Ahamed are deeply proud that the partnership they’ve built with United Way has helped give hope and tangible help to so many people struggling to find their way. Marie Dennison says that leaving the private sector five years ago to follow her passion for helping others was the best decision of her life. Many children and youth in Canada struggle with societal barriers… These circumstances have nothing to do with the value of who they are or who they can become.